That card is perfect for this Texas heat. Super cute gift card. Thanks. Love your website. Thanks for all you do to save us money! I “like” Totally Target on Facebook. Thanks for the giveaway. Thanks for the giveaway! Good luck to everyone! I love TT and all the $$ you help me save. Thanks for all the great giveaways! I would so love to win this gift card!!! I am a TT fan on FB. 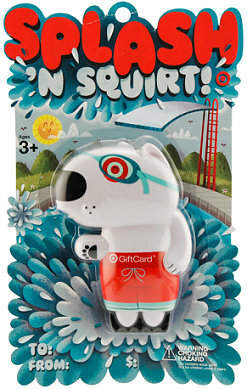 This gift card is soo cute! I would love to win, pick me! This would be awesome for my daughters birthday!!! Can always find something to buy at Target! I have a very small chance of winning but its worth a shot!!!!!!!! thank you for all of your help!!!!!!!! I also follow you on facebook!! Just in time for summer! In Texas, Summer can start as early as February! I like TT on FB too. Thanks! I love this website and it would be so great to win this giftcard. I’ve already liked this website on FB too! I’m a loyal follower on facebook. This would be great for summer clothes! !